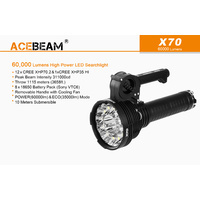 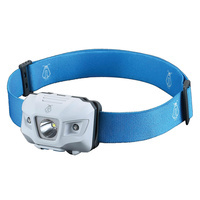 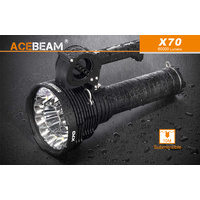 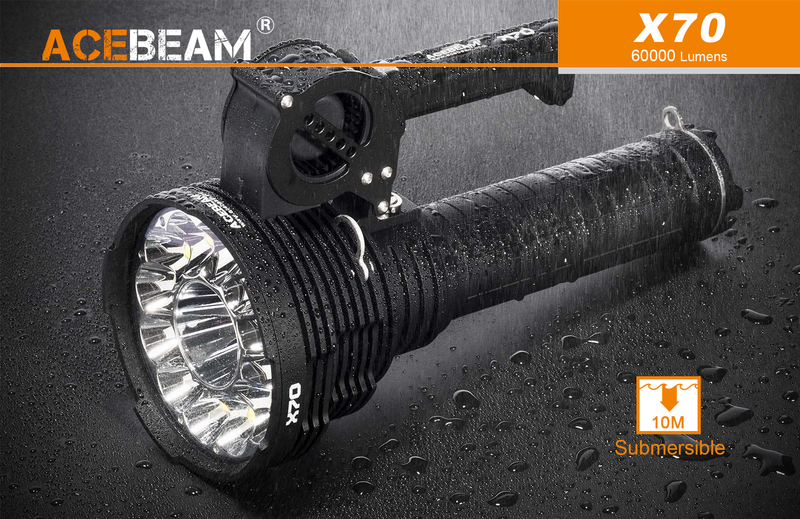 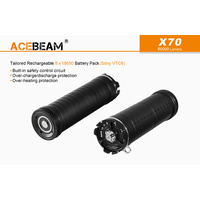 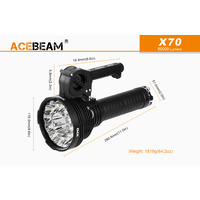 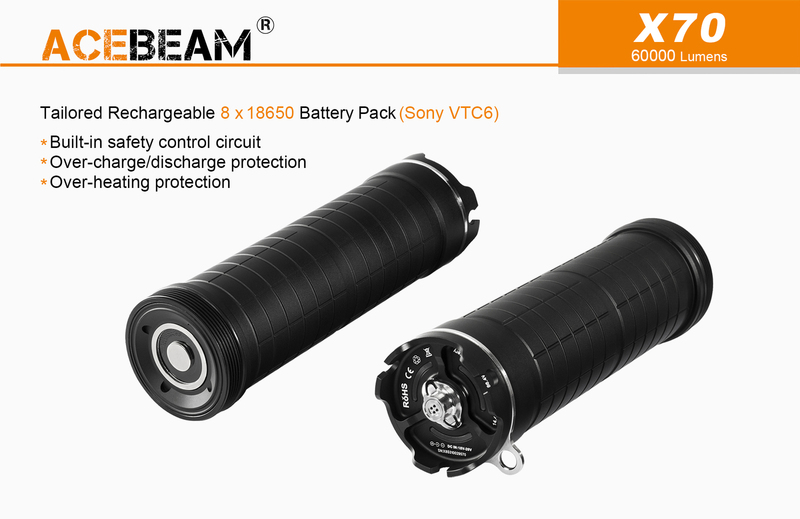 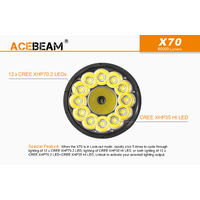 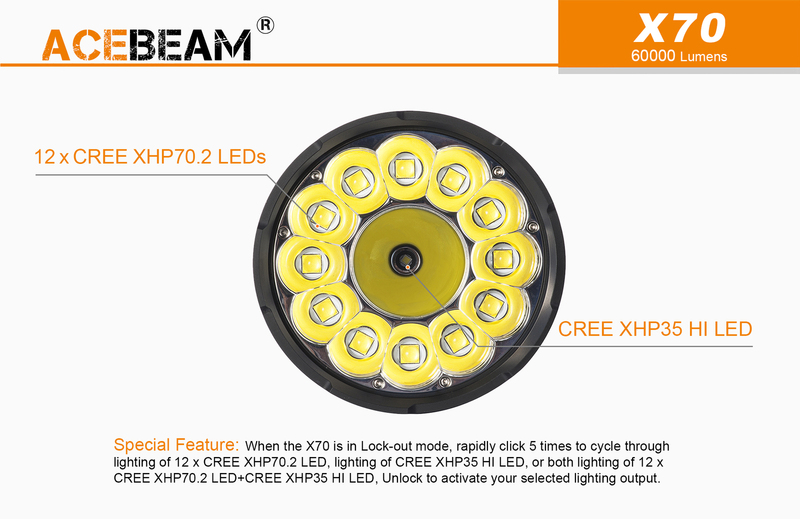 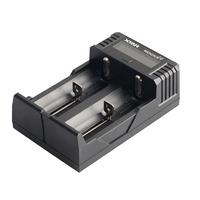 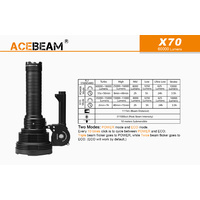 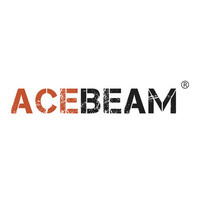 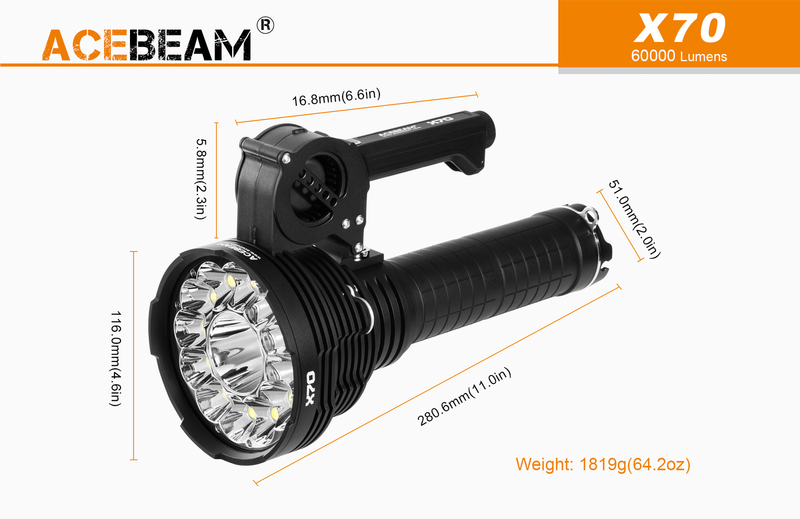 Describing Acebeam's new X70 as "bright" is like saying a hurricane or typhoon is "windy". 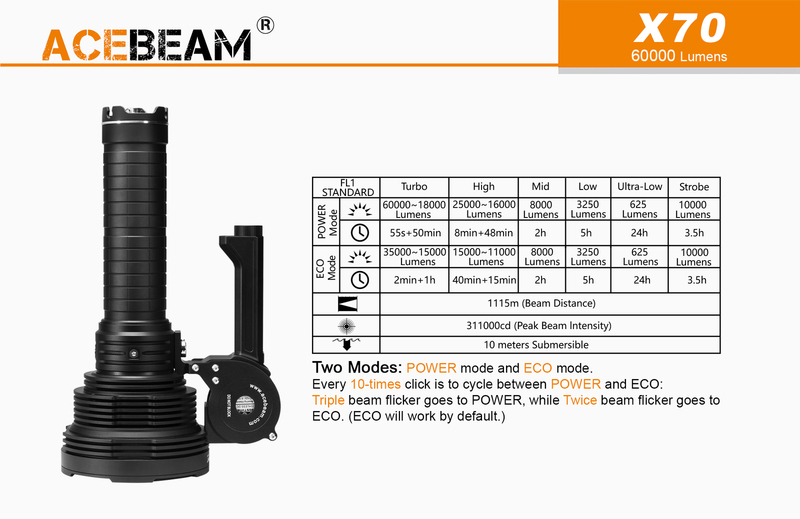 Delivering an unprecedented 60,000 lumens in a 1,115metre beam. 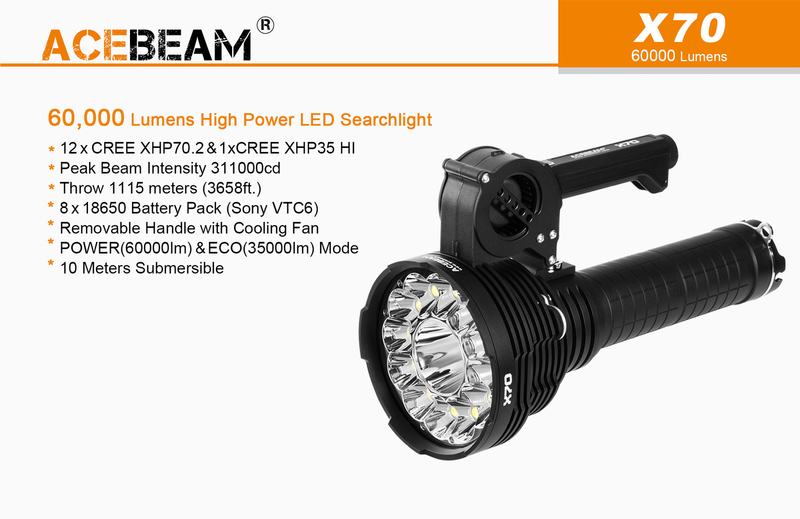 The lumens are served up by a Cree XHP35 HI chip backed by 12 Cree XHP70.2 emitters, fuelled by a rechargeable battery pack with 8 Sony VTC6 18650 lithium ion batteries, and focused by a complex reflector into an epic beam, brilliantly lighting objects as far as you can see. 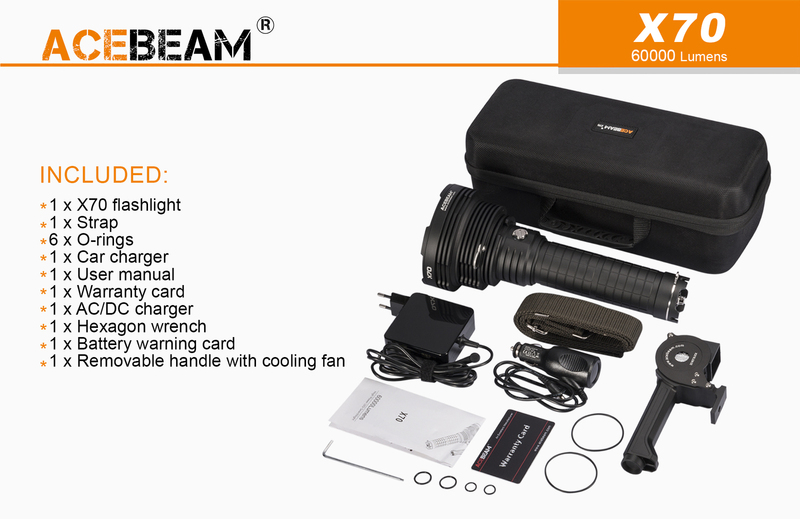 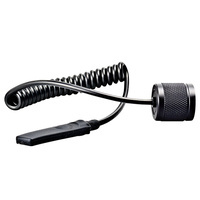 The heat from these LEDs is dissipated by a centrifugal fan built into the carrying handle and powered by a separate rechargeable 18650 cell, allowing the X70 to sustain outputs of up to 18,000 lumens for 50 minutes and blast out 25,000 lumens for 8 minutes or 60,000 lumens for nearly a minute – durations which are not practical without active cooling. 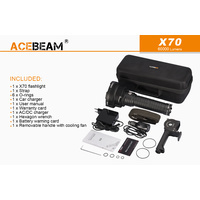 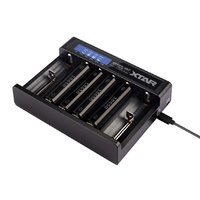 The X70 represents a new benchmark in portable lighting. 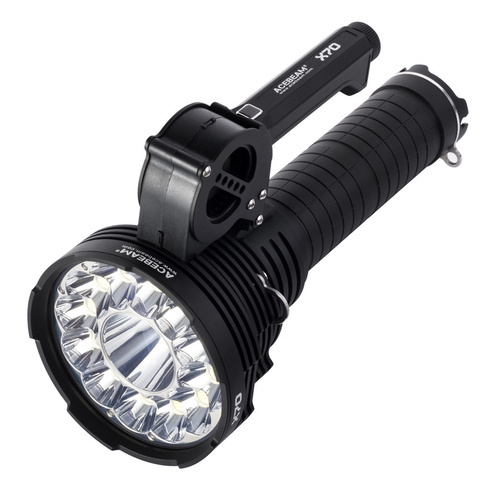 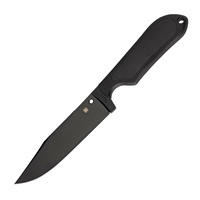 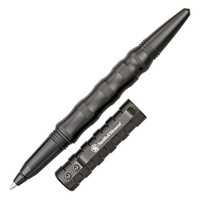 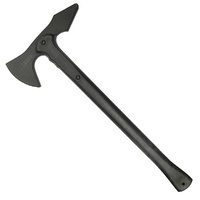 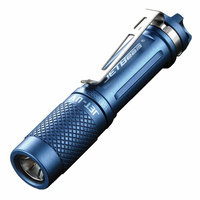 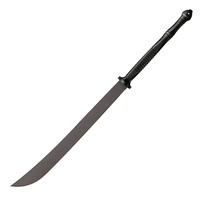 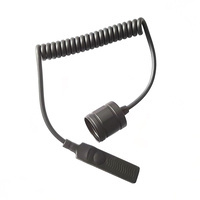 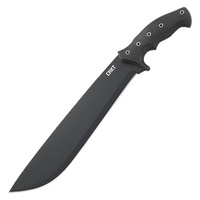 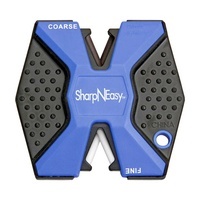 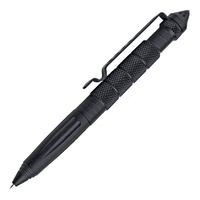 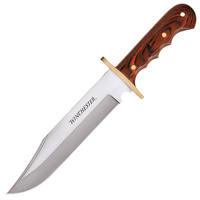 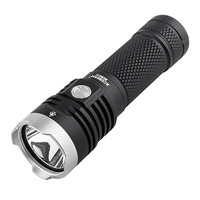 Darkness stands no chance against anyone armed with this flashlight, which is uniquely suited to search-and-rescue, military and marine operations, forestry and game-park management, and so much more.